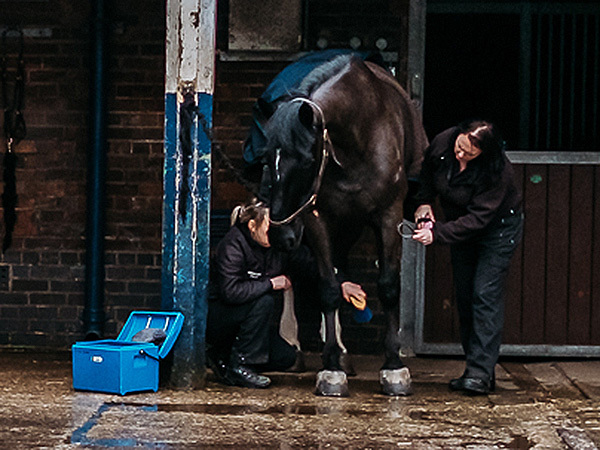 Formed in 1886, Merseyside Police Mounted Section is the oldest of its kind. Today, it’s an integral part of the Operational Support Unit, based at Greenhill Road, Allerton. We’re proud to still stand tall after all this time. And with continued support, we hope to do so for many more years to come. 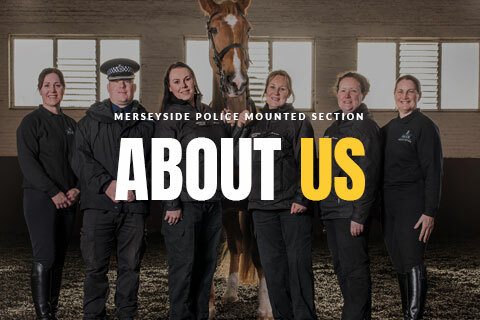 Each member of the Merseyside Police Mounted Section is a qualified Animal Welfare Professional and many have had a life-long association with equine welfare. 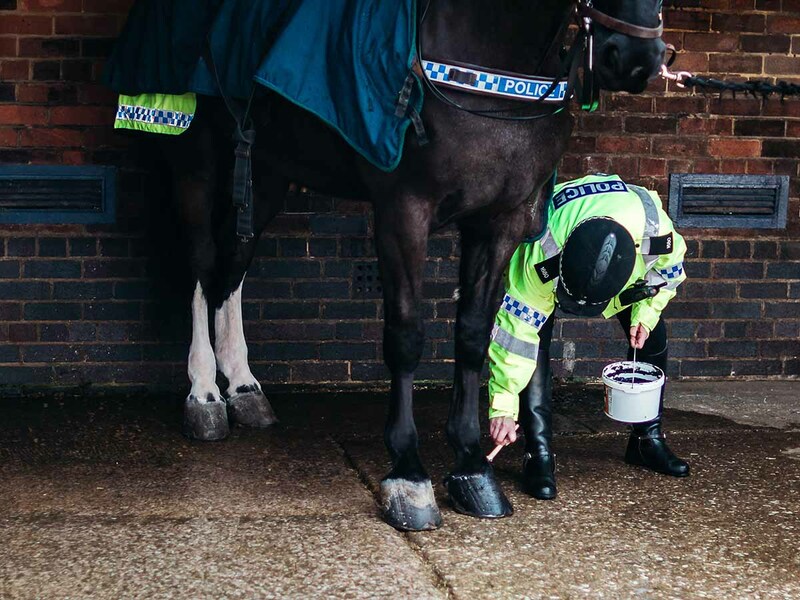 The job of a Mounted Police Officer is incredibly varied and all Officers are highly trained qualified riders who undergo weekly training and annual requalification. Our main duties include policing large-scale events within Merseyside, such as the Liverpool International Music Festival, football matches at Liverpool, Everton and Tranmere FC, rugby matches at St Helens; organised marches throughout the force area; spontaneous or planned protests; and civil disorder situations such as those experienced across the country in 2011. Another important part of our job is patrolling the city centre on a Friday and Saturday night to keep the public safe. Aside from the dynamic and crime fighting aspects of policing, the Mounted Section is the most approachable and family friendly department in the force – we’re happy to introduce our horses to the public at any opportunity we get! We love the effect our horses have on children and adults alike, they’re a great way to break the ice with everyone we meet. We accept visitors at the stables too, so you can see behind closed stable doors! We try to accommodate as many requests as we can but this is by appointment only. We’re also happy to visit community events and schools so we can meet and mingle with the public as much as possible. If you’d like to come and say hello, or would like us to come to you, just get in touch.